With the integration of ODYSSEY Wallet to different services, Odyssey(OCN) will also release OCPay, a global mobile payment App that connects all services integrated to ODYSSEY Wallet to one single User Interface. Customer will be able to handle everything related to OCN in the app. OCPay V1.0 has been released. Odyssey(OCN) is currently developing its own blockchain, called OCN Chain. OCN Chain will allow the integration of OCPay with a multitude of other networks, services, and businesses globally. This is in direct comparison to Ethereum, which has become overloaded with the advance of DApps being built on the network, leading to higher transaction fees and slower blocktimes. OCN Chain will simplify the integration of other blockchain providers into OCPay and ODYSSEY Wallet, lower cryptocurrency transaction fees for businesses, consumers, and service providers within the Odyssey(OCN) ecosystem, and streamline the on-boarding of new providers throughout the entire Odyssey(OCN) ecosystem. Odyssey is initiated by Odyssey Protocol Foundation, registered in Singapore. Odyssey brings together our robust cross-protocol blockchain with convenient and interoperable cryptocurrency transaction capabilities, delivered by ourselves and a network of offerings spanning from OCPay to Odyssey Wallet, from businesses to services within the Odyssey ecosystem. Together we provide a bouquet of global e-services including payment options and boosts in networking to the sharing economy and more fields you can imagine. 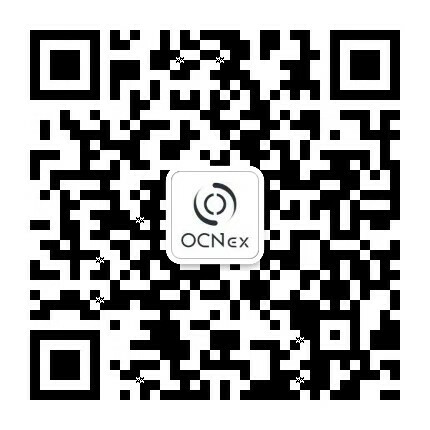 OCP is OCN Chain′s official payment token. OCP will be used in Odyssey(OCN)′s ecosystem and OCN Chain to pay for OCN Chain services such as asset registration and transactions. OCN which remains as the official token of Odyssey(OCN) ecosystem, will entitle all token holders with voting rights such as super nodes election and other ecosystem development mechanisms design.